I am creating a speedtest tool that is more reflective of reality for our customers. To do this, I need to create a series of unique images that are approximately 1.5-2MB in size, as that is the average size of our HDS fragments. After this, tweak and repeat. When I used to envision how small companies create a great strategy, I would often imagine a single or multiple leaders sitting down and writing out something to the effect of “here are the three things that we’ll do to win.” The picture in my mind is complete with a boardroom or conference room, men and women wearing business suits, and hours of PowerPoint presentations at the ready. My experiences at a management consulting firm reinforced this: oftentimes, decisions started as hypotheses by the most senior leaders, and were then justified back to them by consultants who gathered and made sense of data. But the biggest surprise in my mental picture comes from how we develop strategy. Our strategy is highly influenced and often derived by our incredibly empowering culture and system of ad-hoc conversations. What makes our culture empowering? 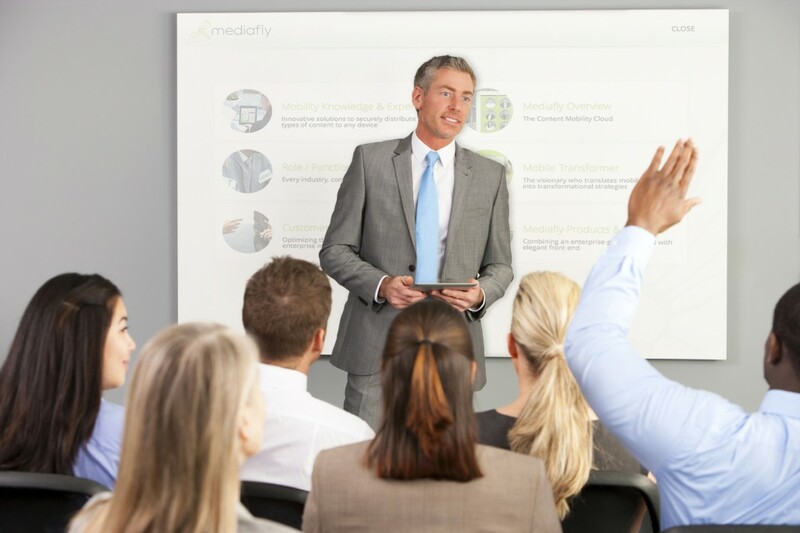 At Mediafly, engineering, customer success, marketing, sales, and even interns have open, candid conversations with the executive team every day, passing along ideas and feedback in both directions. Customers can pick up the phone or write an email to anyone on the team, and expect to get help to solve issues. If team members find something they don’t like about any system, they are empowered to proactively fix it. Many team members work across divisional lines (engineering and marketing; sales and product; marketing and customer success), which empowers those team members to fix and grow even more. What are ad-hoc conversations at Mediafly? As a result of the culture, our team members find themselves in ad-hoc conversations about all parts of the business every day. Conversations will form at each others’ desks, over lunch or drinks, on our messaging systems (GChat, HipChat), and of course by email. These all serve to align how each of us thinks about our company’s place in the world. All of this coalesces and informs our company’s strategy. These inputs came in through our empowered team members thinking about their areas, via conversations at each others’ desks and at meals. Assimilating these inputs was easy, when there were so many of them pointing in the same direction. As a result, we’ve begun to work on a desktop application and plan to release it within the next several months (stay tuned!). We originally developed our Interactives Platform back in Q2 2012. At the time, we assumed Mediafly would build a consulting arm that caters to creating Interactives via consulting services to our enterprise customers, while our core team focuses on enterprise software licensing. We operated under this approach for almost a year, netting a reasonable amount of consulting work. Engineering and Product: Every time Engineering was pulled into an Interactive engagement during this time period, we had to delay work on the product side for a custom piece of work. However, the product side is where the bulk of our “enterprise value” would eventually come from. Team: Getting sucked into consulting engagements of this form was extremely hard, and team members were working way longer than normal. This was largely because we weren’t used to the multiple back-and-forth design rounds required for consulting to overlap with product work, and time was tight. Industry: we started to meet some great agencies and software development firms, and believed they could be incredible partners. We made the decision in 2013 to terminate all new Interactives development for our customers (with a few exceptions). The result has been amazing: better products, better focus, happier customers, and partners who are doing amazing work. IDC announced today that worldwide tablet sales growth is expected to slow to 7.2%, and that iPad shipments will decline by 12.7%, the first year-over-year decline in the history of the product’s existence. This is significantly different from their 2013 report, which showed a year-over-year growth rate of 50.6%. This announcement coincides with what I’ve been predicting for the past two years:from an enterprise perspective, tablets and laptops will largely consolidate to a single form factor. The drivers are clear. Enterprise users want to be able to work effectively, regardless of what device their working on. They don’t want to carry around multiple devices and companies don’t want to supply or manage multiple devices. The iPad is a revolutionary device but it’s strengths still lie in content consumption, not content creation. Another limitation is the fact that users don’t want to have to have another upgrade path on tablets that is separate from their phones and their laptops. And on top of that, companies struggle to keep up with device upgrades. Despite prior years showing the significant growth of tablets as a device platform and Mediafly being a “mobile-first” enterprise software company, we’ve seen that our web viewer still ranks as the top platform. The device report below is from one of our enterprise customers and illustrates how important the browser is (represented by Mediafly Web Viewer). Many customers and prospects are hesitant about rolling out iPads to their salespeople and general employee base as they work to reconcile the capital expense and challenges of managing another track of devices with the enablement benefits they provide. More and more of the new Windows PCs are tablet hybrids as well, with full touch screens, detachable keyboards, and a full-featured operating system behind it. We are eagerly awaiting OS X to support these features as well, and expect this to happen in the coming 1-2 years as tablet sales decrease even faster. Larger phones (e.g. iPhone 6+, Galaxy S5, and Nexus 5) are decreasing the importance of also carrying around additional devices such as tablets and laptops. In anticipation of this shift, we are working on a new desktop solution that will work on multiple operating systems (Windows 7 and above, and Mac OS X 10.8 and above) and support all of our mobile app features including: full offline access, offline search, intelligent syncing, and Interactives. The desktop solution will remove the line between devices and will allow an end user to experience the benefit of our solutions everywhere. Our target timeframe for launch is Q3 2015. We’ll keep you updated on our progress and share details along the way. A salesperson and client walk into a conference room. On the wall is a TV with Chromecast. The client switches the TV to Chromecast. The salesperson opens their Chromecast-enabled app, and instantly pairs with their tablet. The meeting starts, and the salesperson presents from their tablet. No wires, no fuss. It just works. People who run meetings and present are used to wires. HDMI and VGA, along with their adapters for their iPad or Mac. All to connect to a grainy, washed out, off-color projector. Wires have to be passed around between participants. Oftentimes the adapter is mistakenly left behind and needs to be repurchased. Chromecast has the potential to change all this, and become THE replacement for cables in the conference room. 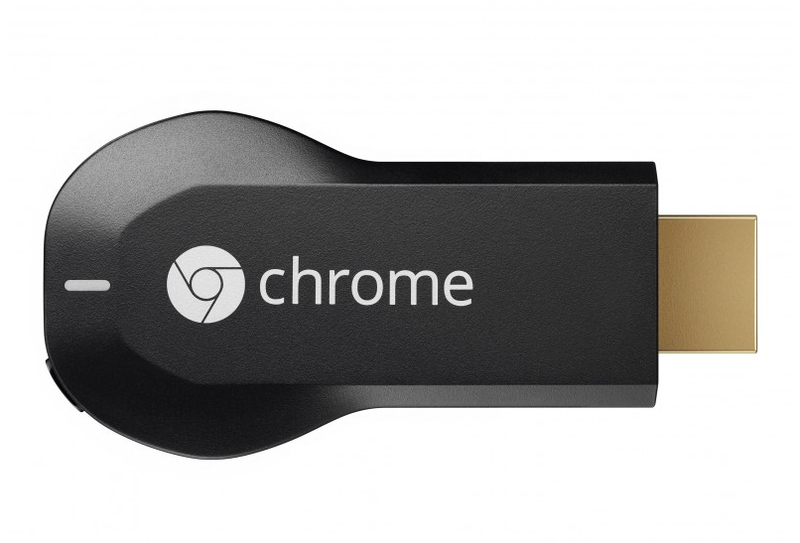 Chromecast is a $35, 3″ device made and sold by Google that simply plugs into an open HDMI port in your TV. It connects to your Wifi and is controlled by phones, tablets, and PCs. Most technologists think of Chromecast as the cheap HDMI dongle that lets people more easily stream Netflix and a limited, though growing, list of apps. Even with only a few interesting use cases available today, and even though it launched only halfway through 2013, Chromecast has already become the #1 selling connected TV device in 2013 in the US. Without these steps, Chromecast cannot even complete the initial setup phase. And few IT admins will bother to go through these steps to allow the device to function on their network. For guests to use it (think: salespeople, customers), the corporate network a.) must allow guests, and b.) those guests must be on the same network as the Chromecast so they can discover the device. This leads to another series of challenges that IT admins would have to solve. As a Chrome Mac user, I can cast (mirror) my desktop with some effort. But these are clunky if I simply want to present a deck I prepared. I want my presentation tool to natively support Chromecast. First, lets start with challenge #2: Guest usage is often impossible. Google announced last month that an upcoming update to Chromecast will help solve #2. With the update, Chromecast will use ultrasonic sound to determine if a user is in the same room as a Chromecast. Once that pairing happens, the user can control the Chromecast off their mobile/cellular or wifi network from their phone or tablet, just like that. Next, challenge #3: Business-focused Chromecast app support is limited. Directly asking/providing incentives for enterprise software companies to add support for Chromecast into their business apps. This still leaves challenge #1: Corporate networks require additional setup as an issue for Google to address. It’s unclear whether Google has a strategy for this, or even cares to try to solve this problem. Historically, Google has not done a good job addressing enterprise needs in what they conceive as consumer products (see their awful support and limited enterprise-focused feature set in Android, as a case study). Moreover, it’s an incredibly hard problem to solve; enterprise networks are often very tightly locked down and often very different from each other. In a later post, I will lay out where Chromecast sits relative to AppleTV and Roku, its closest competitors with respect to use in the enterprise. It will be interesting to watch how Chromecast evolves over the coming years, and potentially participate in its evolution. 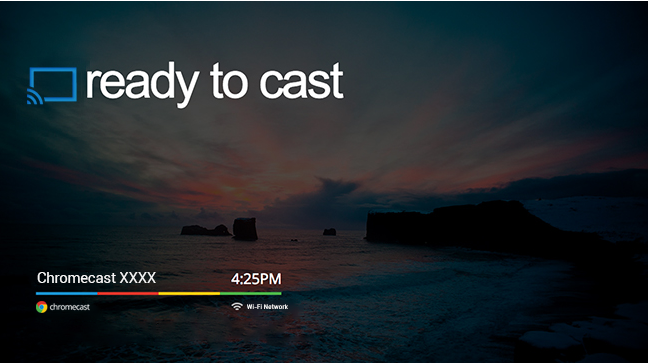 We are considering adding support for Chromecast into our products, and look forward to your feedback! 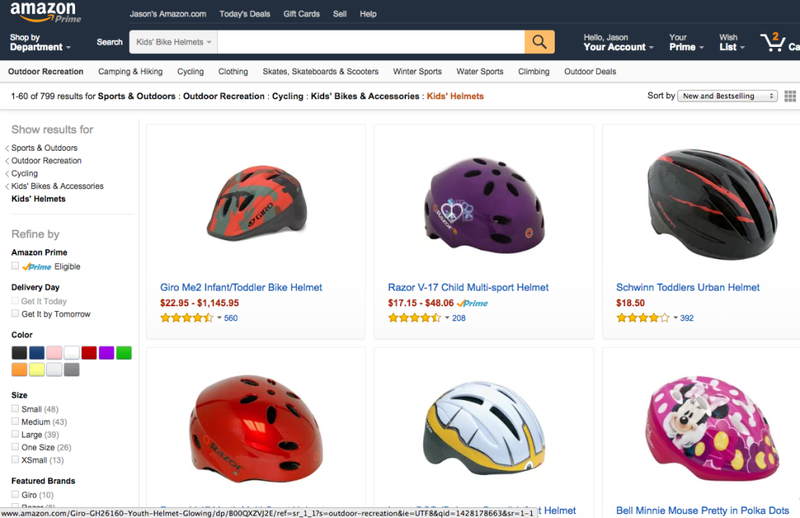 … this is ridiculous. This is only after four months. Can you please find a way to self-update your application? I bike to work every day I can. Rain, snow, blistering heat, I try to let nothing stop me. At 3.1 miles each way, the ride is not long. But after riding almost 250 times a year for many years in Chicago’s four seasons (including two Polar Vorticies), those miles can feel pretty long. I’ve acquired a lot of equipment over the years. Here is a list of what works for me. For 50-60 degree days, a lightweight, shockingly orange Reebok jacket with a built-in hood that I found on clearance for $11. For 20-30 degree days, I migrate to true winter clothes. I wear a Marmot ski shell , thick fleece zip-up, winter gloves, and thick hat. I try to never carry a backpack. Instead, I use an Ortlieb Office Bag QL2 Pannier. It is waterproof, sleek, and has an amazing attachment system. I love it. This is mainly for dry weather. I have slight adjustments for wet/windy weather, which I’ll post at a later time. When deleting a large chunk of data from Amazon S3, AWS struggles a bit with figuring out how much you actually owe. We at Mediafly deleted ~30% of the tens of terabytes of data from one of our AWS accounts yesterday. 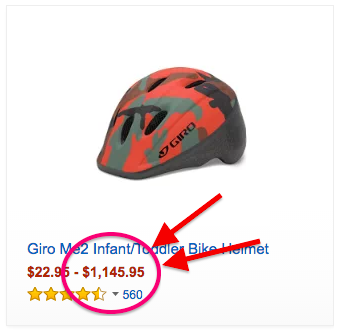 One would expect the appropriate cost graph to drop ~30% as well. However, this (obfuscated) chart, output from our installation of Netflix Ice, the excellent open source tool contributed by Netflix, appears as if we outright deleted all content from our S3 bucket. Seeing this graph raised some alarms (“oh crap! Did we just delete everything? ?”), but thankfully the reality does not match what was depicted here. Time will tell when and how that information is updated, however.